The level of awareness is such that many cite American and Chinese competition in the region as a major influence on their present as well as future. While the Chinese are ubiquitous in terms of infrastructure building i.e roads, tunnels, bridges etc. as they pave the way for uninterrupted access to the warm water port of Gwadar in Baluchistan, the Americans were not shy in competing with the Chinese to provide relief to affectees of the Attabad land-sliding disaster earlier this year. This is the summation of what I gathered on my recent trip. I've gathered copious notes and have hours of audio, a neat array of videos and a basket of photos to boot. Never have I witnessed such a closed society to the outside world, a 'secret file' as one local politician aptly put it. Being behind a 'wall' for the most part of Pakistan's existence has generated such a pent up desire for progress amongst the people of Gilgit Baltistan, that at times it seemed, their mere intent would suddenly transform 'dead mountains' into pits of sapphire and uranium. Superlatives aside, Gilgit Baltistan is that part of the Dogra State (1846-1947) that along with Ladakh holds least attention, whenever the 'Kashmir Issue' is discussed. This is despite (along with Ladakh – administered by India) being geographically by far the largest part of the erstwhile kingdom. If you put a knife to the State as if you were cutting a cake that resembled the shape of Jammu and Kashmir State - as it was known until the last third of the month of October 1947 - you would slice most of what is north and east, barely leaving a fifth of what is left remaining of the southwest. Along with it's issue of lack of proximity to the highly centralised capitals of Islamabad and New Delhi, it also lacks in manpower what the rest of Kashmir (using the word generically) makes up for with a population of c. 15.5 million (Jammu, the Valley and AJK combined) compared to Gilgit-Baltistan-Ladakh's c. 2.5 million. The proportion of land-mass to population is bizarrely inverse if all the aforementioned parts are considered as two units of one whole. Marginalisation in terms of opportunities for education and upliftment that were apparent during Dogra rule continued beyond 1947 as the area that became known as the 'Northern Areas' of Pakistan was neither constitutionally a part of Pakistan (thus, no representation in the latter's national assembly) and neither was it considered a part of Kashmir or what became known as AJK (Azad/free Jammu Kashmir – otherwise referred to as Pakistani-administered Kashmir). India's legal claim and subsequent inactivity to enforce that claim has only added to the confusion. The urdu proverb "na teen me na teraa me" (neither counted amongst the 3's or the 13's) is oft-cited to give a nutshell depiction to an outsider. Indeed, political awareness in the region has had a latent element to it. Agreements between the Mirs of Hunza and Nagar or between the Muslim Conference and the government of Pakistan (Karachi Agreement of the 28th of April 1949), all raise questions about the public legitimacy of these decisions, amongst the increasingly politically aware Gilgit Baltistan population. Further, the manner in which Pakistan cajoled the 'liberators' of this territory from Dogra Rule in November 1947, to surrender their gains to Pakistan and their subsequent humiliating demotion, is the basis of many a 'chai-ki-dukaan' (coffee-shop) discussion to this day. For the record, the chief of the liberated territories Shahrez Khan was demoted to a civil supply officer whilst his second-in-command Col. Hassan Mirza was asked to undertake an entry test to rejoin the army. As with many other disputed parts of the world, information-sharing, awareness gathering and subsequent political activism for basic rights has been a steep uphill task. It wasn't until 1967 that some semblance of a political rights movement took root in the shape of Gilgit-Baltistan-Ladakh Mutahhida Mahaz under the leadership of Johar Ali Advocate. Subsequent attempts by the government of Pakistan to placate or address people's grievances or needs are widely considered to be too little, too slow and in some cases too late. focus 'Gilgit Baltistan Empowerment Ordinance of 2009: the only people in support of these initiatives have been those who have directly benefitted from them. This leaves out most of the population, who not only have to make do with endemic institutional corruption and unavailability of a single medical, engineering, technical or other post-graduate college in the whole territory. They also have to endure taxation without representation; last year's newly-formed assembly does not possess the right to legislate on it’s natural resources, including water and minerals and for all intents and purposes, Pakistan’s executive in the shape of it's Ministry of Kashmir Affairs and Northern Areas (KANA) deals with all issues of governance. 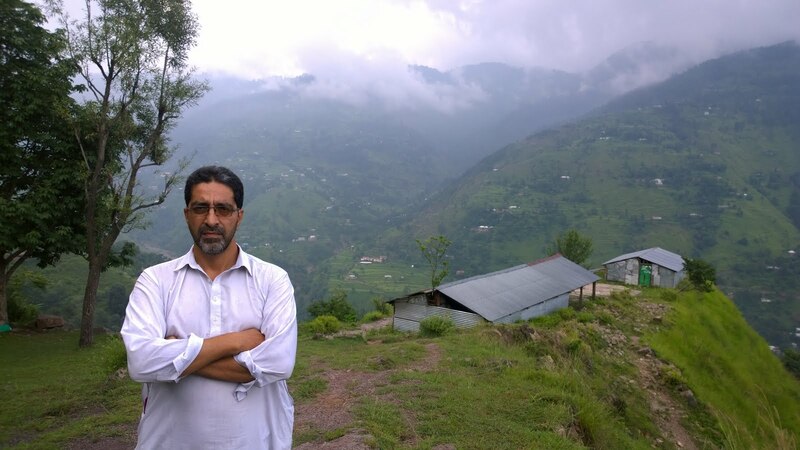 Whilst anger and frustation with Pakistan's inability to deliver good governance to the public of Gilgit Baltistan is clearly apparent, reservations about 'Kashmiris' and resentment for being an 'unheard' component of the 'Kashmir Issue' are also inescapable. Some who have interacted over the years as students and businessman with Kashmiris in the Pakistani cities of Karachi, Multan and Quetta have explained a persistent negative propaganda campaign against Kashmiris coupled by the closing of traditional routes within the pre-1947 state; such as Skardu to Kargil, Astor to the Valley via Minimarg or Shonter Pass to Muzaffarabad. A lack of interaction between people of the various parts of the erstwhile state have dented historic relationships as much as they've created an air of inquisitiveness and yearning to re-kindle old ties, not to mention a fresh vigour to initiate trade links. The repression that the people have undergone since 1947 signified by restriction of educational/economic opportunity and their liberty being subordinate to the geo-political priorities of others, has led many to envision an independent country free of Pakistan as well as Kashmir. Many a historic name is invoked for this state including Bolore, Balawaristan, Karakoram and Dardistan. What is clear is that those who consider themselves politically progressive in approach are open to ideas as long as their region with all it's various ethnicities, languages, natural resources and trade routes are not subject to hegemonic design by others; including Kashmir. What many are not clear about is the exact geographic definition of their territory and likewise don't possess a road-map for their political future. Nevertheless, whatever their future political shape or association may be, they would be keen to ensure an opt-out clause that could prevent them from entering into another morass. It was encouraging to see efficient utilisation of their land for agricultural output, with cherry and almond trees commonly visible in most regions. That is despite their weak wholesale bargaining position i.e. as they could only sell to Pakistani buyers, they had little control over the price they were paid. In a similar manner, their lack of educational facilities couldn't hide their keen-ness to learn. Further, the multi-tude of intelligence agencies watching every public move didn't deter them from expressing themselves. What was less encouraging was the sight of old Hindu and Buddhist temples in ruins and the lack of apparent public will to restore them to their original state. The level of awareness is such that many cite American and Chinese competition in the region as a major influence on their present as well as future. While the Chinese are ubiquitous in terms of infrastructure building i.e roads, tunnels, bridges etc. as they pave the way for uninterrupted access to the warm water port of Gwadar in Baluchistan, the Americans were not shy in competing with the Chinese to provide relief to affectees of the Attabad land-sliding disaster earlier this year. The latter are also busy in sending out expeditions to locate many an untouched mineral and precious stone deposit, in those 'dead mountains' that have often characterised Gilgit Baltistan. I read ur piece on GB. It is really a matter of concen for the people like us. World is progressing but our regions are going to stone age. As mediapersons it is our duty to raise the issues at any available platform. I shall be obliged if u could mail me ur pictures along with the GB area so that we can highlight the issue more prominently.